Electron is one of the most popular frameworks for creating cross-platform desktop applications right now. Many developers use electron-builder to do the heavy-lifting of package management for their Electron apps. electron-builder has support for creating snap packages out of the box. Bringing your Electron desktop app to Linux can be as simple as a one-line change in your package.json. Here we’ll use an existing application – BitWarden – to show you how. BitWarden is a cross-platform password store featuring secure cloud sync across their desktop and mobile clients. 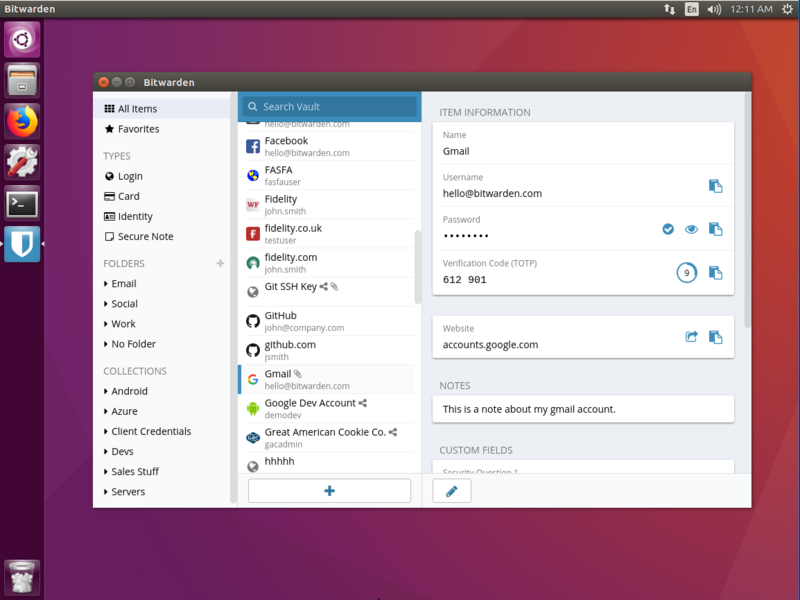 The desktop client is available for Linux in the snap store. In the "linux" section of the package.json the BitWarden developers added a 'snap' build target. This is alongside the other build targets the developers have chosen to support. For many electron applications this one line is enough to generate a working snap! Simply build as you normally do either locally or using a remote service such as Travis or CircleCI and this will produce a snap. electron-builder exposes additional snap features via an optional 'snap' stanza in the package.json. For example the BitWarden application requires an additional interface to access the password management service, and an additional package to be staged inside the snap. Interfaces are comprised of plugs and slots at each end, so the term ‘plugs’ allows you to specify a list of interfaces you want to enable in the snap. The 'stagePackages' section allows you to specify debs from the Ubuntu 16.04 archive which will be pulled into the snap at build time. That’s it! The full package.json can be found in the BitWarden GitHub repo. The community of developers building snap, snapcraft and snaps hang out on the snapcraft forums. Join us! The post Bringing Electron applications to millions of Linux users appeared first on Ubuntu Blog.